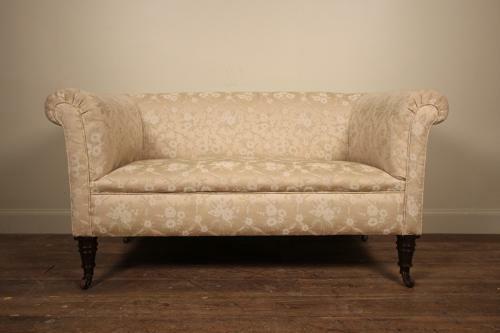 A lovely very small and beautifully proportioned chesterfield sofa, having a sprung seat and lightly scrolled arms. Raised on Mahogany turned tapering legs and retaining the original porcelain castors. Super comfortable when seated, not newly upholstered but in good clean condition.